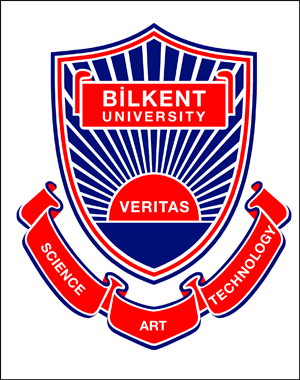 The Bilkent University, Ankara, Turkey, will be hosting the sixth international conference on Computational Methods and Function Theory (CMFT 2009) to be held June 0812, 2009. The general theme of the meeting concerns various aspects of interaction of complex variables and scientific computation, including related topics from function theory, approximation theory and numerical analysis. Another important aspect of the CMFT meetings, previously held in Valparaiso 1989, Penang 1994, Nicosia 1997, Aveiro 2001 and Joensuu 2005, is to promote the creation and maintenance of contacts with scientists from diverse cultures. The international organizing committee of CMFT 2009 consists of M. Kocatepe (Bilkent University, Turkey), St. Ruscheweyh (Würzburg University, Germany), E. B. Saff (Vanderbilt University, USA), I. Laine (University of Joensuu, Finland) . The local organizing committee of CMFT 2009 includes S. Gergün (Çankaya University), A. Goncharov (Bilkent University), M. Kocatepe (Bilkent University), Natalya Zheltukhina (Bilkent University). The mathematical program consists of invited plenary lectures, contributed talks and poster sessions. CMFT 2009 Young Researcher Awardee: To be announced. There will be several sessions for 25-minute talks. Poster sessions will also be organized for those participants who prefer this type of presentation. The program will be posted at the website http://www.bilkent.edu.tr/~cmft of the conference as soon as it is made definite. The final program details will also appear in the Program booklet, to be distributed at the time of registration in the Conference Office. selected awardee will be one of the plenary speakers at CMFT 2009. Abstract of all contributions (lectures, talks, posters) should be submitted to the local organizing committee by April 15, 2009. Detailed instructions are available from the homepage of CMFT 2009. Participants will be notified of the acceptance (contributed talks, posters) in April, 2009. All speakers at the conference will be encouraged to submit articles based on their talks to the journal "Computational Methods and Function Theory" (see the website of the journal http://www.cmft.de). All submitted papers will be subject to the usual refereeing process of CMFT. The conference fee is USD 300 if paid by April 15, 2009, and USD 350 afterwards. The corresponding fees for accompanying persons are USD 45 , resp. USD 50, and USD 20, resp. USD 25 for children under 16 years of age. The conference fee is USD 150 for graduate students and young post-docs if paid by April 15, and USD 175 afterwards. The fee covers all conference material, coffee/tea/refreshments during the conference program, transportation services between the airport /hotel/conference site, and a subscription to the CMFT journal (except for students) for the year of 2010. According to the tradition of the CMFT conferences, limited funds will be reserved for partial support of local expenses and/or reduction of conference fee of participants from developing countries. Those in need of such support are requested to indicate this in their registration form. Applicants for such support will be notified about the decision in April, 2009. Most of the travelers to Turkey require a visa. For most of them visas can be obtained at the port of entry in Turkey or from the Turkish Consulate General or Turkish Diplomatic Missions of their home countries. For more information, please visit the consular information on web site of Turkish Ministry of Foreign Affairs. Registration form, hotel information, and travel information can be found at the conference website.